The Artivist is a mixed-space venue that merges food, music, art and performance. 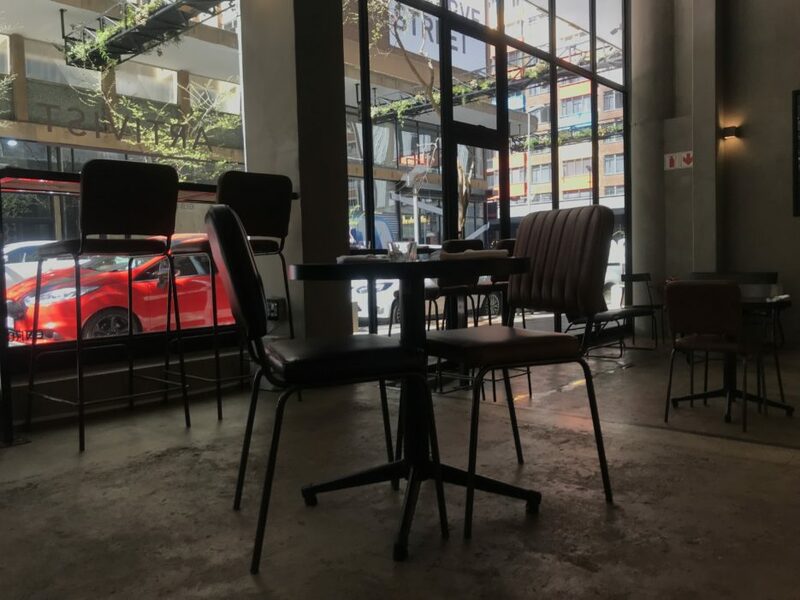 Opened earlier this year, the Artivist is already attracting attention as the new kid on the block, and its location in Braamfontein makes it perfectly situated to contribute to the culture. Bradley Williams answers a few questions about the space on behalf of him and co-founder Kenny Nzama. 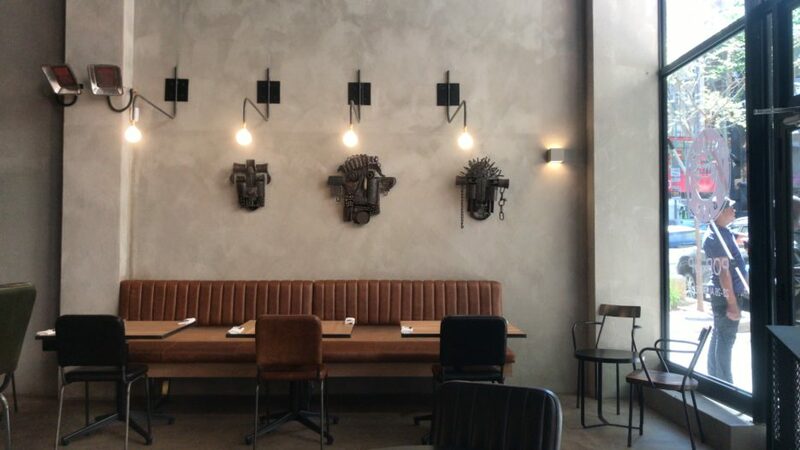 Tell us a bit about The Artivist – What inspired this mixed space? 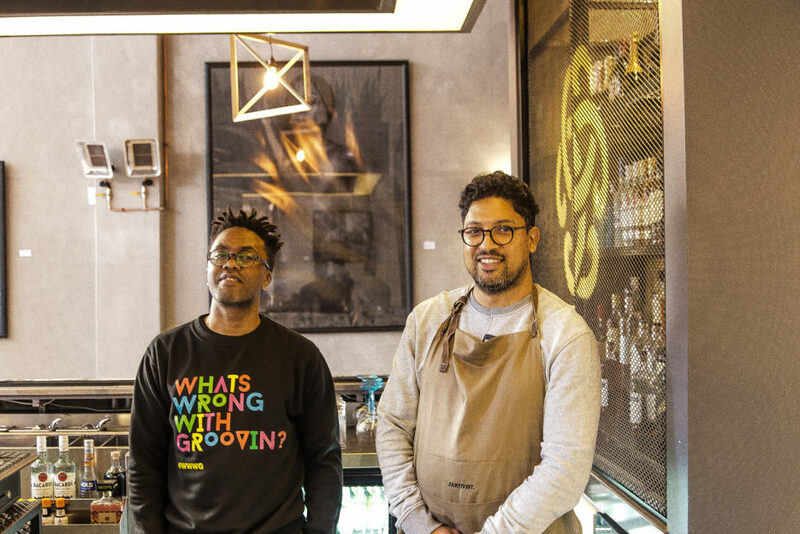 Kenny and I first started thinking about the idea of a space that doesn’t already exist in South Africa, in particular Joburg — we felt that we were missing a more black-conscious Pan-African narrative in a social space, for arts & entertainment, bar, eatery and a communal lounge of sorts for Pan-African Creatives. There are very few spots that were owned and operated by black entrepreneurs, and we felt that it was important that we claimed a space and controlled the narrative to deliver what we really wanted to see happening in this space. Our aim is to create an atmosphere for connections across a diverse spectrum of people, artists, artisans, marketers, fashionistas, political leaders, academics, innovators, etc. and inspired people to be their best selves regardless of what industry/sector or hustle they are engaged in. 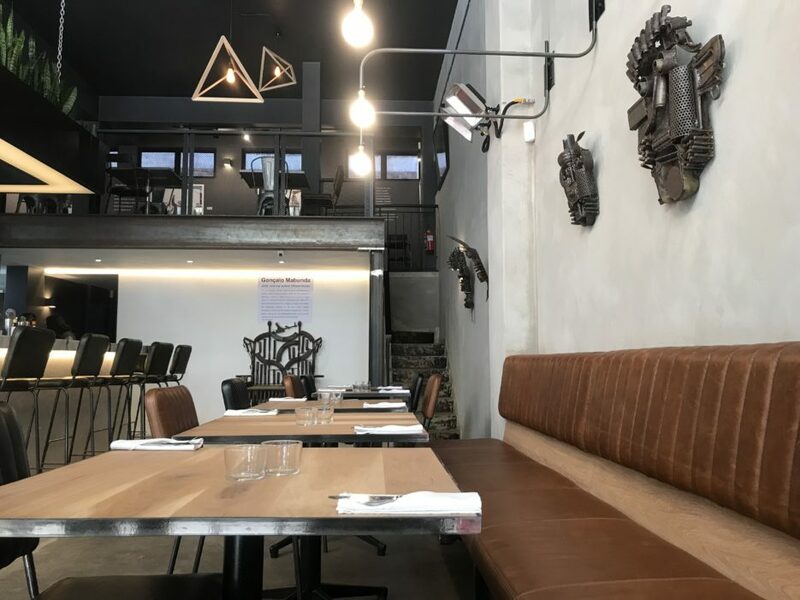 When it comes to culinary offering we aim to provide nourishment and generosity in regional, Pan-African and Mediterranean cuisine that is ethically sourced and prepared, environmentally and people conscious food/ingredients. The artworks are by emerging artists and curators, looking for platforms to hone their talents and develop their brands. At the same time we want to build a new audience and grow the idea of collecting art as an investment, art appreciation and patronage among black Gen X’s and Millennials. How does the space work? 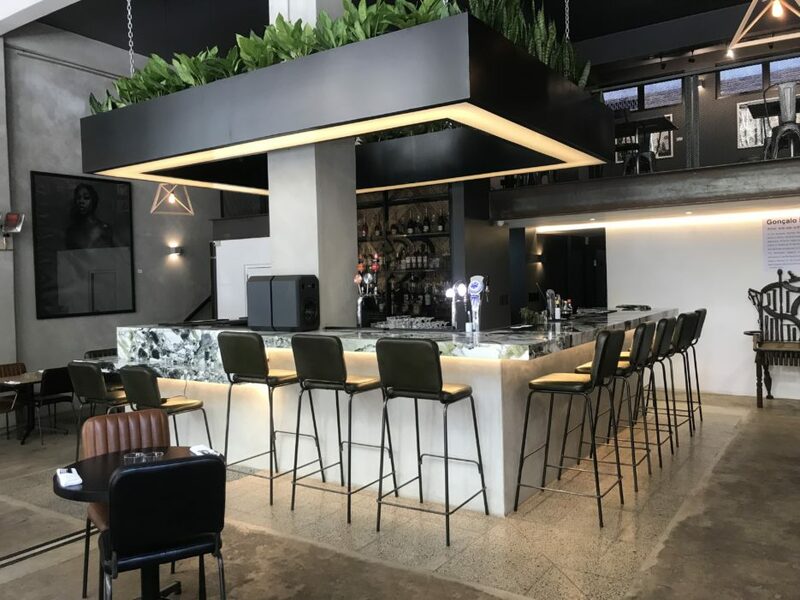 The Artivist hopes to be an enabler of our community’s creative ambitions by offering a space that connects similar and opposite people to do amazing things, or just have a fun night out with music, drinks, quality conversations and new friendships… In terms of a daily restaurant space, every day we open we treat as an event. We hope that we can bring people together to share delicious meals in ways they haven’t experience before. And in terms of specialised events? We want to extend that into weekly specialised events in our basement space (untitled basement), where we host DJ nights by co-founder and music director DJ Kenzhero. Thus far, we have hosted We Got The Jazz, which is a collaboration with jazz sessionists, pianist Thandi Ntuli and Kenzhero, where we feature up & coming local and international jazz/hip-hop and soul artists performing very intimate sets in the centre of the room. 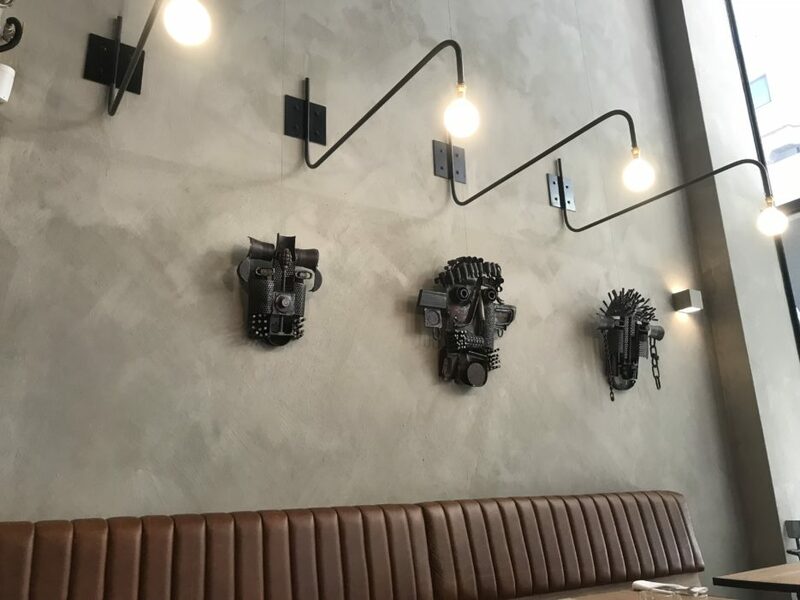 We have hosted a Pop-Up Mozambican food experience called Mozi Bite, which offered a broader view of Mozambican food and culture beyond prawns and piri-piri, and where we featured artworks on loan from legendary Mozambican sculpturor Gonçalo Mabunda (via a close friend). 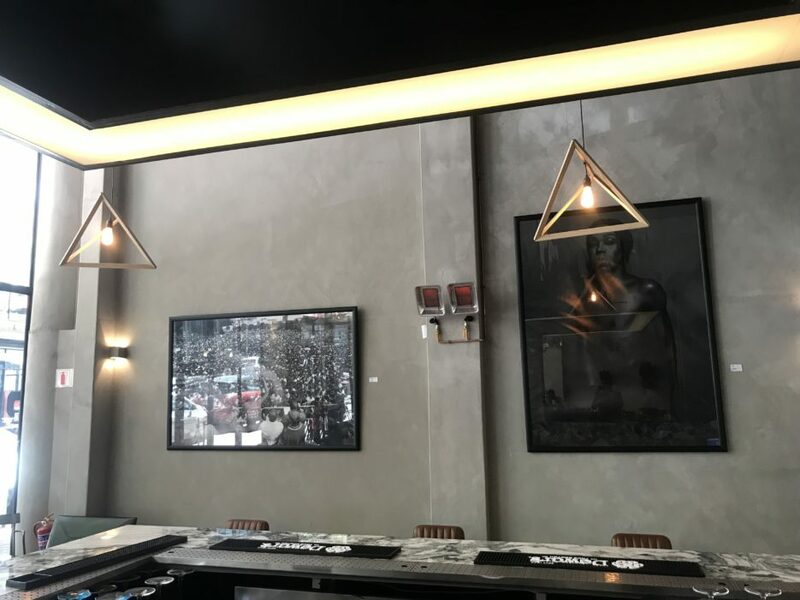 Artivist features evolving art installation ideas, a seasonal menu and ever growing cocktails, drinks list and frankly the best playlist of any bar in Joburg — potentially any bar in South Africa. What are your hopes for the future of this space? We hope to become a destination for any South African or African in the diaspora seeking a broader world or to connect with a very specific community in Joburg. What kind of stuff would you like to happen there? Its quite new, so we’re still growing into the idea of The Artivist, given the feedback from our audience. Essentially we want the space to attract collaboration and build community, to become a sanctuary for celebrating black excellence, African excellence, general dopeness and cool vibes in the city. What exciting events are coming up in the next month or so? We are currently running a collaboration art feature with Pro Helvetia SA for their 20 year’s in SA celebrations – a multimedia art installation by German based curator/artist Mats Staub on Artists in Africa is installed in the ARTIVIST Gallery space until 28 September. More exciting music showcases, art and good food to come this way as we ramp up the summer activity, starting with Saturday Brunches and breakfast daily from 25 September. Beginning October’s first Thursday features the Blvk Blok Collective of young student artists on Reserve Street (our neighbourhood). End October is a collaboration with Luxe Noir Magazine, launching their 2nd print edition and art installation. Interesting music and DJ nights all collaborative, fresh and way out there vibes.